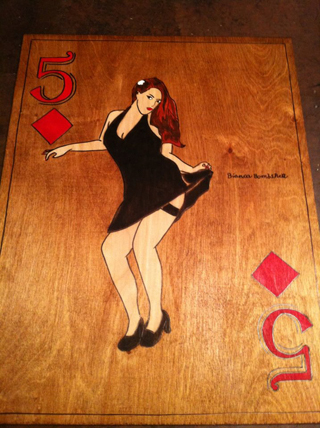 “Painting is fun, drawing is great, but my true passion is wood burning. There’s nothing like taking a piece of thin plywood, playing with fire, wood-stain, and a little paint to make something beautiful. 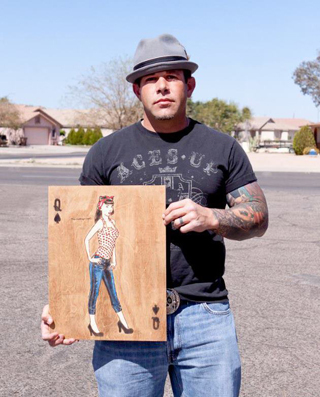 It’s extremely rewarding,” says Kris Marler, the artist behind Hot Daddy Wood Art. 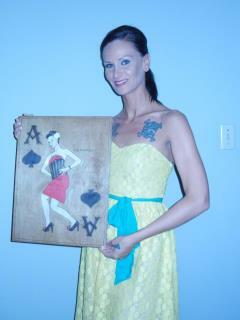 Hot Daddy Wood Art is made using a soldering iron to wood-burn all detailing lines. A butane torch is used for shading and dark colors. Prints are not individually sold, everything is an original piece and no two are ever 100% identical. “I have to say it really happened by chance,” replied Kris. Kris Marler works as a full-time mentor for risk/ troubled teens. He and his mentees attended a few art/ culture workshops. The poor kids were bored to tears, but Marler was hooked. The majority of his mentees are Native American, so he incorporates projects that revolve around their culture. 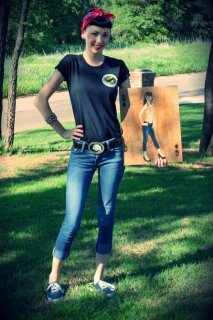 “I started wood-burning images on saguaro walking sticks and did some custom furniture pieces with cowboys and other southwestern style designs. People were buying my work, but I lost interest. My heart just wasn’t into it. I enjoyed the work, but felt that it just wasn’t really me,” mentions Marler. “I stopped everything for about four months and on a whim threw together a 24x36 haunted house. I found the flair, I’ve been missing,” continues Marler. He did several of his favorite musicians/ models/actors including Johnny Cash, Elvis, Sinatra, James Dean, Marilyn Monroe, Bettie Page, and several more horror images. 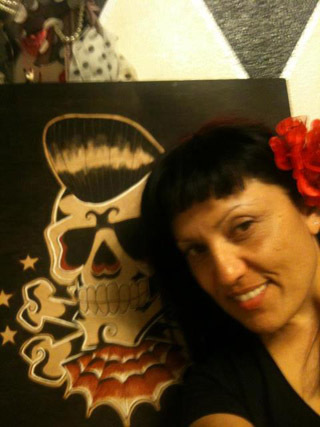 Marler was able to get authorization to make wood burnings of a few bands/ musicians. He was loving it and going full steam ahead. “I still do some of those larger pieces, but have been undertaking a new endeavor. This again happened by chance,” added Marler. 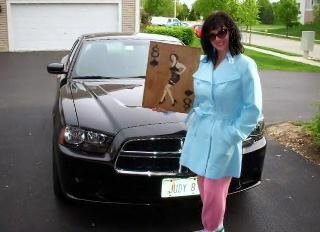 While on vacation from work and his clients created four graffiti style canvas pictures. Marler was touched by the gesture, however were not his preference of art. He decided, he would use the wood backing for frames and save the canvases as a memento. “I racked my brains on what I could find to put in them. 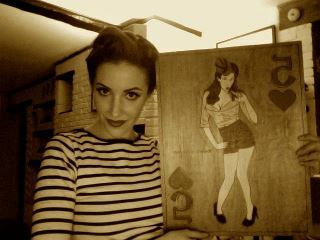 I threw together a set of aces with some random pinup girl images,” says Marler. Once completed, to his dismay, the employees at Lowe’s cut the wood an eighth of an inch too small, so the “aces” didn’t fit. Marler now has the canvas prints still in frame hanging in my workshop in admiration. 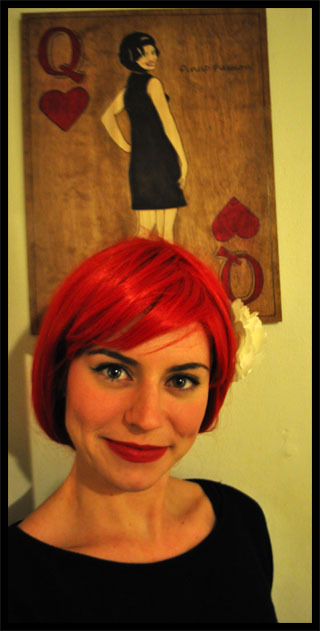 “I posted the pinup cards in some Facebook groups and ran across a gal by the name of Emily aka The Vintage Doll. She was so excited about them and asked if I could do them using real models. So I gave it a shot. It took all day, but came out great,”. He committed to making a full deck of cards. By searching through profiles to find models with a little begging, pleading, and networking; Marler had enough models to get started on his creations. After completing the first card, he liked it, but was not fully satisfied with the final product. Marler felt it was missing something. Kris contemplated a change in design, but was then mortified to start over. 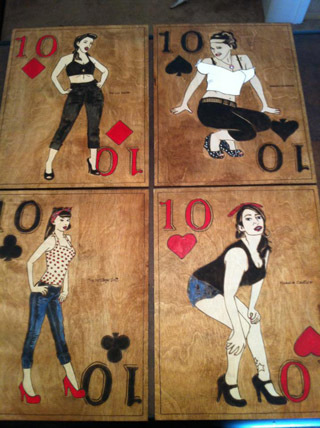 At this point, Marler had “the original aces” and “the queen of spade” (Emily). “So, I'm sitting in my workshop brooding about it and Dan West from Classy Chassis photography emailed and asked to purchase the card,”. West mentioned he was the photographer who shot the picture of “The Doll” that he based the card on. So, Marler sold it to West and started from scratch. “The funny thing is he bought it as a gift for her and asked me to keep it a secret until he gave it to her,” continues Marler. By the time negotiation with West was complete, Marler was only eight cards away from completing the deck. Through the card project, Kris states “I’ve met some very classy ladies, such as The Vintage Doll, Kristelle O Chocolat, Lady Scarlett, Cara Bella, Bianca Bombshell, and even Bernie Dexter." What are the reactions of the models when they see your complete work? “The happiness they reflect when they see the card of themselves brings me deep satisfaction,” excitingly says Marler. “The project has been a blast!” he continues. Marler has been amazed to see the friendships the models are forging together. They support each other and share tips, and are there for one another through triumphs and defeats. 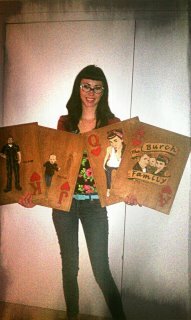 Marler has been able to include his family in the “card project” more, than any other individual project he’s undertaken. “My two and in a half year old son likes to pick his favorite card out of each set and tell me ‘that my woman daddy’,” he chuckles. 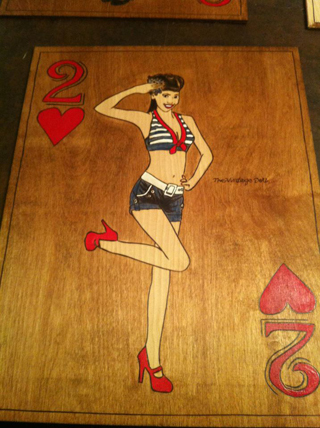 “My daughter comes out and sits at the desk and draws up her own little cards, and the best part: My wife has agreed to get dolled up and be featured on the second deck as my Queen of hearts. Not to mention my wife and I have made a good friend in Emily and her family. Who knew so many lives could be affected by a simple wood-burning project,” continues Marler. By the time this article is published, Marler plans to have his first full deck completed. There are plans to complete another deck or two and see where it leads him. He also is contemplated completing a set of zombie pinup cards as well. 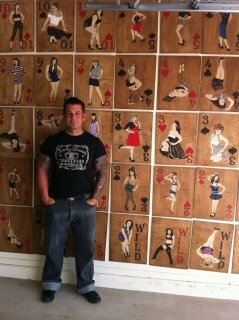 In addition, he is working up a design for a wood-burned pinup calendar. This is all in the beginning phases for now. Marler is just doing what he loves and sending out orders as they come. Dying to get your claws on one of his wood burning creations? To order a card, customers just select an image and a suit/ number, email him their preferences and submit payment. Card completion is usually 2-3 business day plus shipping time. The cards run for $50 each plus shipping, however Marler offers a buy 3 get 1 free special.